MIFC is grateful for the financial support of our local business sponsors! MIFC Rocks the Founders Cup! Happening Now and Coming Up! Registration For Fall Recreational Soccer Is Now OPEN! Registration For Fall Club Select Soccer Tryouts Is Now OPEN! *Select tryouts will take place in May. The schedule is posted here. Come Out And Support MIHS Boys Varsity Soccer! The MI Varsity Boys soccer season is underway. Follow all the action and support the team. The program is under new leadership with Head Coach and Mercer Island native, Forrest Marowitz. Cheer on MIHS Boys Soccer as they march toward the state playoffs! April 19th at 4pm - Free popsicles for everyone who attends the Varsity game. Invite your friends! April 23rd at 7pm - Jordan Morris Night. Come see Jordan Morris be inducted into the MIHS Hall of Fame. April 30th at 7pm - Senior Night. A special night that honors our seniors and their families. 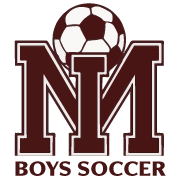 *Visit the MIHS Boys Soccer website for schedules, news and the latest events. Want To Learn More About Eastside FC? In preparation for the 2019-2020 season, Eastside FC is holding parent information nights for all new and current families. Learn about the various programs offered and how to get involved with Eastside FC. Click Here for More Information. Eastside FC Junior Regional Club League Winter/Spring League - Does your son or daughter love soccer and want to play more than just a Fall season? Interested in discovering what a Premier soccer environment looks and feels like? The Junior RCL (Regional Club League) with Eastside FC is the perfect place! To read more about this awesome program click here. Parents And Coaches - Concerned About Injuries? We all want the best for our players. We have a new section on our site to help you find the latest information on rules, safety, and procedures. Check out our "Rules and Parent Resources" page for links to everything you need to know! Playing Soccer At MIHS - What Does It Take? - Ever wondered what it takes to become part of the amazing MIHS Boys or Girls Soccer Teams? Many of our MIFC Recreational Soccer and Select Soccer players have gone on to play at the high school level. To see all the information, simply click here to view our flyer. 2019 SELECT TRYOUTS REGISTRATION NOW OPEN! Did you miss a previous edition of the MIFC Newsletter?